For a related 13th-century tebako, see Tanaka Hisao, Meiho Seisho, no. 52. 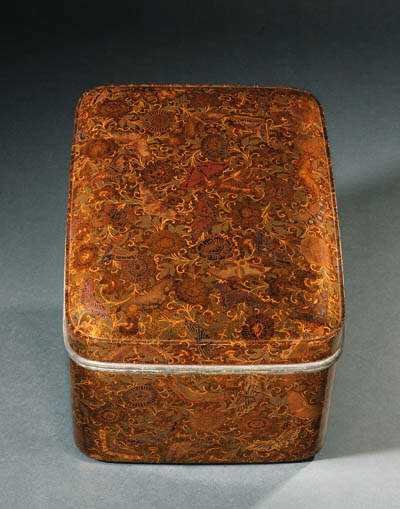 This tebako is a fairly close copy of a 13th-century box with gilt copper butterfly fittings from the Hatakeyama Collection of Tokyo registered as a National Treasure. It is one of several boxes made in the Meiji Period based on or using motifs derived from masterpieces in temple collections.